The Saudi-led coalition has committed war crimes in Yemen. The coalition forces have done little to distinguish between military and civilian targets, with the Yemeni civilian population the main victims of this conflict. This briefing sets out the international law framework which operates in the Yemen conflict and proceeds to demonstrate how the Saudi-led coalition is continuously violating this with impunity, committing war crimes, supported by the UK and US governments. The Houthi movement has challenged the ruling regime in Yemen for over a decade. Hostilities intensified from 2011, when many parts of the Yemeni population rose up against then President Al Abdullah Saleh during the ‘Arab Spring’, triggering a transition process whereby President Saleh would be replaced by his vice-President, Abd-Rabbu Mansour Hadi. Presidential elections followed, though Hadi was the only candidate. A National Dialogue Conference was set up as part of the transition process which recommended that Yemen should be divided into six federal regions, a move opposed by the Houthis. With the transition process and new President failing to resolve many of the grievances which had prompted protests during the ‘Arab Spring’, the Houthis consolidated control of Yemen’s capital, Sana’a, from September 2014. In March 2015, President Hadi fled to Saudi Arabia and Saudi Arabia, leading a coalition of Arab states, began its campaign of airstrikes. There are, therefore, different regimes under international humanitarian law, or the laws of war, regulating international armed conflicts and non-international armed conflicts. International armed conflicts are those between two or more states, whilst non-international armed conflicts are between government forces and “dissident armed forces or other organized armed groups which, under responsible command, exercise such control over a part of its territory as to enable them to carry out sustained and concerted military operations…” The armed confrontation must reach a minimum level of intensity and the parties involved must show a minimum degree of organisation to constitute a non-international armed conflict. From 2011, when Yemeni authorities were violently cracking down on protestors, international bodies recognized that the situation did represent an ‘armed conflict’: the UN Security Council implicitly recognized this in Resolution 2014 (2011), which demanded that Yemen comply with its obligations under international humanitarian law, whilst the International Committee of the Red Cross’ 2012 report concluded that “multiple armed conflicts” exist in Yemen. As for whether the situation in Yemen represents an international armed conflict or non-international armed conflict, from one perspective, the armed conflict is between government forces and the Houthis, a “dissident armed force” or “organized armed group”. This would suggest it is a non-international armed conflict. In March 2015, a Saudi-led coalition of states, including Bahrain, Egypt, Jordan, Kuwait, Morocco, Qatar, Sudan and the United Arab Emirates, began airstrikes in Yemen. The involvement of more states, and the question of who represents the legitimate ruling forces in Yemen, former President Hadi (who fled to Saudi Arabia) or the Houthis, raised the issue [Office1] of whether the armed conflict was international in nature, as if the Houthis were seen as the legitimate ruling forces in Yemen, then the Saudi-led coalition attacks against them would represent attacks between two or more states. 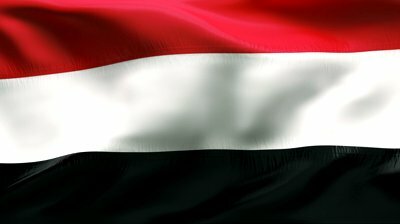 Ultimately, most agree that the conflict in Yemen represents an armed conflict of a non-international nature as the Houthis are not currently internationally recognized as representatives of the Yemeni state, nor do they control a sufficient proportion of Yemeni territory to make them de facto representatives of the state. As such, the conflict is most readily classified as being between the Yemeni government and the Houthis as an armed opposition group, with the involvement of multiple other state actors. The main provisions which regulate non-international armed conflicts can be found in Article 3 of the Geneva Conventions (common to all four Conventions) and Additional Protocol II (‘APII’). Yemen, Saudi Arabia, and the other members of its coalition have ratified these instruments and are therefore bound by them. Article 9 requires that medical and religious personnel be respected and protected, and be granted all help to perform their duties. Articles 11 requires the protection of medical units, which incudes hospitals. These are not to be the object of attack. when it is not possible to protect the civilian population, that the principle of proportionality should apply whereby the direct advantage from an attack is considered against its harmful effects. Article 14 prohibits starvation of civilians as a method of combat, such that “objects indispensable to the survival of the civilian population, such as foodstuffs, agricultural areas for the production of foodstuffs, crops, livestock, drinking water installations and supplies and irrigation works” must not be attacked, destroyed or rendered useless. Article 18 requires the protection of humanitarian activities providing relief to the civilian population, such as (but not limited to) the activities of the Red Cross and Red Crescent. Under Article 1 of the Convention on Cluster Munitions 2008, the use, development, production, stockpiling, retaining and transfer of cluster bombs is prohibited. Furthermore, assisting, encouraging or inducing anyone to do any of the aforementioned activities is also prohibited. Whilst the UK has ratified the Convention, Yemen, Saudi Arabia and the USA have not, hence are not bound by it. Nevertheless, under customary international humanitarian law, the law by which all states are bound, weapons that are by their nature indiscriminate are prohibited. Cluster bombs are classified as such. These bombs open up in mid-air to release further sub-munitions which can then fall over a wide area, failing to distinguish between civilians and military targets. Differentiating between civilians and military targets is a key principle of international humanitarian law, which guides Article 13 APII, prohibiting attacks against civilian populations (see above). Below is a list of some of the airstrikes by the Saudi-led coalition which breach international humanitarian law, thereby constituting war crimes. Further examples can be found at the appendix. The examples below and at the appendix are by no means exhaustive. The coalition’s aerial and naval blockade, and its use of cluster munitions, both in breach of international humanitarian law, are also detailed. – 30 March 2015: An airstrike on a displaced persons camp in Mazraq, northern Yemen, hits a medical facility and a market, killing at least 29 civilians. The strike had no apparent military target according to the Middle East and North Africa director at Human Rights Watch. Some aid workers thought the attack was targeting a nearby base for Houthis. Whether this is true or not, the strike led to a disproportionate number of civilian deaths. – First week of May 2015: Airstrikes against five densely populated areas – Sa’dah, Sana’a, Hodeidah, Hajjah and Ibb, where many civilians were trapped, causing the deaths of at least 97 civilians and injuries to 157 others. Regardless of whether there were military targets situated in these areas, it would have been evident that striking them would result in a high number of civilian casualties, making such an attack indiscriminate and disproportionate. – 24 July 2015: Airstrikes hit two residential compounds of the Mokha Steam Power Plant in the city of Mokha, where 1,300 civilians live, killing at least 65 civilians and wounding more. Human Rights Watch visited the area a day and a half later and saw no evidence that either of the two residential compounds were being used for military purposes, making this an indiscriminate attack on civilians. – 28 September 2015: Airstrikes hit a wedding party in Waheja village, killing at least 130, mostly women and children. Residents claimed that a local man affiliated with the Houthis was holding the wedding reception. Again, whether this is true or not, the strike led to a disproportionate number of civilian deaths. – 8 October 2016: Airstrike on a crowded funeral ceremony in Sana’a, killing at least 100 people and wounding 500 more, including children. Military personnel were in attendance at the funeral, however, the number of civilians present demonstrate the disproportionate and indiscriminate nature of this attack. – 21 October 2016: Airstrikes hit a densely populated residential area in Souq al-Hinood, killing 28 civilians and wounding 32. The only known military target nearby was the city’s Presidential Palace, about 500 meters away. This was bombed already earlier in the day, making this an indiscriminate attack. – 29 October 2016: Three air strikes hit a prison in Alzaydiyah district in Hodeidah killing approximately 60 people and injuring around 34 others. Attacking this civilian detention facility, even if the Houthis were deploying military forces there, resulted in a disproportionate loss of civilian life. In the examples cited above, the key way in which these airstrikes violate international humanitarian law is because of their disproportionate and indiscriminate nature. They go against the general humanitarian principle set out in common Article 3 of the Geneva Conventions, that persons not taking part in the hostilities be treated humanely. They breach Article 13 APII, which prohibits direct attacks against civilians, and is based on the principles of distinguishing between military and civilian targets as well as the principle of proportionality, that any harm to civilians is weighed against the anticipated military advantage. – 26 October 2015: Airstrikes hit an MSF (Doctors Without Borders) supported hospital in Haydan District in Saada Province. Destroying the hospital left at least 200,000 people without access to lifesaving medical care. – 2 December 2015: Airstrikes hit an MSF-run clinic in Taiz city’s Al Houban district, wounding 9 people, including 2 MSF staff. – 10 January 2016: Airstrikes hit an MSF-supported hospital in Razeh, Saada Provice, killing 6 and injuring 7. – 31 March 2015: An airstrike on a dairy factory outside the Red Sea port of Hodaida causes 31 civilian deaths. This is in breach of Article 14 APII which prohibits “any attack against objects indispensable to the survival of the civilian population”. – 19 April 2015: A strike against a humanitarian aid warehouse of the international aid organization, Oxfam, in Sa’ada. This is in breach of Article 18 APII which requires the protection of the activities of relief organisations. – An aerial and naval blockade has been imposed by the Saudi-led coalition since the end of March. This has kept out fuel needed for the population’s survival, for example to power generators in hospitals and pump water to civilian residential areas. The Saudi-led coalition have claimed that the blockade is implementing the arms embargo mandated by Security Council Resolution 2216. However, this Resolution only requires that countries inspect cargo to Yemen if they have “information that provides reasonable grounds to believe the cargo contains the supply, sale, or transfer” of arms and military equipment. The naval and aerial blockade imposed by the Saudi-led coalition was initiated before the Resolution was passed. Furthermore, although the procedures for enforcing the blockade have not been made public,  the blockade appears to go far beyond the requirements of the Security Council Resolution by preventing not only the delivery of fuel supplies, but also shipments of aid. This is in violation of Article 18 APII, which mandates relief action for civilian populations suffering as a result of a lack of essential supplies, as well as Article 14 APII which requires the protection of objects necessary for the survival of the civilian population. The following examples have all been documented by Human Rights Watch, with the last 2 examples also mentioned in a report by the UN High Commissioner for Human Rights in August 2016. Saudi Arabia is believed to have used cluster munitions because it is the only actor operating aircraft and rocket launchers with the capability of delivering such weapons. – 27 April 2015: CBU-105 Sensor Fuzed Weapons used near Al-Amar village in Saada governorate, wounding at least 2 civilians. – 29 June 2015: CBU-105 Sensor Fuzed Weapons were used in an attack on Harf Sofian in Amran governorate. – 12 December 2015: CBU-105 Sensor Fuzed Weapons used in Hodaida, injuring a woman and two children in their homes. – 16 February 2016: CBU-105 Sensor Fuzed Weapon used near a cement factor in Amran governorate. The CBU-105 Sensor Fuzed Weapon, is manufactured by Textron Systems Corporation of Wilmington, Massachusetts. These are the only cluster munitions currently exported by the US. Saudi Arabia and the United Arab Emirates have both received this type of weaponry from the US in the recent past. Whilst the USA and Saudi Arabia are not signatories to the Convention on Cluster Munitions, they are still bound by customary international humanitarian law which prohibits weapons that are by their nature indiscriminate, which includes cluster bombs. Thus the Saudi-led coalition is in breach of international humanitarian law by its use of these weapons, facilitated by the USA. Apart from evidence of the use of the CBU-105 Sensor Fuzed Weapon, Amnesty International has also obtained evidence during field research of a UK-manufactured cluster bomb being used. The BL-755 was manufactured by Hunting Engineering Ltd in the 1970s and is known to be in the stockpiles of Saudi Arabia and the United Arab Emirates. It contains within it 147 smaller munitions which disperse on impact with the ground. Amnesty International found a partially-exploded BL-755 bomb which had apparently malfunctioned, leaving a multitude of unexploded smaller bombs scattered over a wide area in Al-Khadhra village in Hajjah governorate. On 19 December 2016, more than a year and a half after airstrikes began, UK Defence Secretary Michael Fallon confirmed that the Saudi-led coalition has used UK-manufactured cluster munitions in Yemen. The UK has ratified the Convention on Cluster Munitions. It is therefore obligated not to sell, encourage or assist in the use of cluster munitions. The UK government claim that the last sale of the BL-755 to Saudi Arabia took place in 1989, before the UK had signed the Convention. However, the BL-755 is designed to be dropped by UK Tornado fighter jets. Although there is no evidence of sales of these jets following UK ratification of the Convention, Tornado jets that had been previously sold to Saudi Arabia continue to be upgraded and serviced under the Saudi British Defence Co-operation Programme. According to the Campaign Against Arms Trade, the UK government has also admitted that UK-built Tornado aircrafts are being used by Saudi Arabia in Yemen. It therefore appears that the UK is assisting in the use of cluster munitions by the Saudi-led coalition in Yemen, by servicing the Tornado jets from which such munitions are dropped, in breach of its obligations under the Convention on Cluster Munitions. As detailed above, both the UK and the USA are complicit in facilitating breaches of international humanitarian law by the Saudi-led coalition through their military sales in relation to cluster munitions. Beyond this, the extent of US military support for Saudi Arabia is evidenced by the fact that under the Obama administration, over $115 billion worth of weapons have been offered to Saudi Arabia in 42 different deals, which is more than any other US administration has ever offered to Saudi Arabia. The UK continues to provide Saudi Arabia with military equipment in violation of its own obligations under international law. Under Article 6(3) of the Arms Trade Treaty 2014, which the UK has ratified, the UK must not authorize the transfer of arms to a country if it has knowledge that those arms would be used in attacks directed against civilian objects, or other war crimes. From April 2015 to March 2016, the first year of Saudi-led airstrikes, the UK government licensed arms exports of £3.3 billion to Saudi Arabia, including “components for bombs”, “components for combat naval vessels” and “components for electronic warfare equipment.” As noted by the House of Commons Foreign Affairs Committee, “in the face of widespread allegations of violations of international humanitarian law in Yemen, it is difficult for the public to understand how a reliable licence assessment process would not have concluded that there is a clear risk of misuse of at least some arms exports to Saudi Arabia.” Despite this, Boris Johnson has defended UK arms sales to Saudi Arabia, denying that Saudi Arabia is violating international humanitarian law. It is clear, therefore, that the UK, in breach of its own obligations under international law, is providing a high level of military support to Saudi Arabia, enabling it to continue perpetrating war crimes in Yemen. Aside from supplying the weapons that are being used to kill civilians in Yemen, the US and the UK continue to provide political and diplomatic support to Saudi Arabia, allowing it to manipulate international institutions in its favour and commit war crimes with impunity. For example, Saudi Arabia has blocked efforts in the UN Human Rights Council to have an independent inquiry into war crimes and violations of human rights by both sides, a move called for by the UN High Commissioner for Human Rights. Its ability to sway the Human Rights Council in this way is enabled by the political support it receives from the US and the UK. Even after the airstrike which hit a funeral in October 2016, killing at least 100 people, the UK government said there was no plan to review its relations with Saudi Arabia and maintained that Saudi Arabia was an important ally for Britain. Similarly, this year, whilst in Riyadh, President Obama attributed a temporary cessation of hostilities in Yemen to “GCC-U.S. cooperation”. The support given to Saudi Arabia by these countries shields it from any accountability, allowing it to continue its military campaign of war crimes in Yemen. Clearly, the civilian population has paid the price for this war with their lives. In August 2016, the UN Humanitarian Coordinator, Jamie McGoldrick, told a news conference in Sana’a that at least 10,000 people have been killed during the conflict, a figure far exceeding previous estimates. In August 2016, the OHCHR reported that the number of documented civilian deaths since March 2015 is 3,591. Underreporting due to the high number of health facilities that are not functioning as a result of the conflict suggests the figure in reality is far higher. The Saudi-led coalition, with weapons and support from the US and UK, is responsible for the majority of those civilian deaths. It has failed to distinguish between civilian targets and military targets, causing a disproportionate amount of civilian casualties in this conflict. Its airstrikes have hit hospitals, factories and aid warehouses, its aerial and naval blockade has exacerbated an existing humanitarian crisis by preventing fuel and aid supplies from reaching civilians, and its use of cluster munitions is another example of the way in which it is breaching international humanitarian law. Saudi Arabia must be held accountable for the war crimes it has committed in Yemen. 12 June 2015: Airstrikes over the Yemeni capital’s old quarter, considered a UNESCO heritage site, kill five people and destroy homes in the centuries-old heritage site described as a “jewel” of Islamic culture. This breaches Article 13 APII as well as the obligations under international humanitarian law to protect cultural heritage, especially the 1954 Hague Convention for the Protection of Cultural Property in the Event of Armed Conflict. 30 August 2015: Airstrikes hit Al-Sham Water Bottling Factory in Hajja governorate killing 14 and wounding 11. 10 October 2015: Airstrikes bomb storage hangars belonging to the Electricity Company Administration for Hodaida, the local government electric utility company. 27-28 October 2015: The Science and Faith School in Sana’a is hit by airstrikes. 3 civilians killed and at least 10 injured. 12 December 2015: 5 employees wounded by airstrikes hitting a Coca-Cola factory located in northern Sana’a. 16 January 2016: Airstrike hits the Bio Pharma Factory in Sana’a governorate. The factory produced medical supplies. 17 January 2016: Airstrikes kill a journalist and injure 2 other civilians. 21 January 2016: Airstrikes kill 26, including an MSF ambulance driver and civilian rescuers, with up to 48 more injured. 25 January 2016: Judge Yahia Robaid and 8 family members killed by airstrikes in Sana’a. 13 August 2016: Airstrikes kill 10 children when a school is hit in Saada. 28 injured. All victims are between 8 and 15 years old. 15 August 2016: Airstrikes hit an MSF-supported hospital in northwestern Yemen, killing 11 and injuring 19. Article 8(2)(b) and Article 8(2)(e) Rome Statute of the International Criminal Court. Common Article 2 of the Geneva Conventions of 1949. Additional Protocol (II) to the Geneva Conventions 1977. Article 1. ICRC Opinion Paper. (2008). How is the Term “Armed Conflict” Defined in International Humanitarian Law? Retrieved from: https://www.icrc.org/eng/assets/files/other/opinion-paper-armed-conflict.pdf. ICRC Annual Report. (2012). Page 448. Retrieved from https://www.icrc.org/eng/assets/files/annual-report/icrc-annual-report-2012.pdf. Human Rights Watch. (April 2015). Q & A on The Conflict in Yemen and International Law. Retrieved from: https://www.hrw.org/news/2015/04/06/q-conflict-yemen-and-international-law. ICRC. Commentary of 1987 on APII Article 13. Paragraph 4771-4772. Retrieved from: https://ihl-databases.icrc.org/applic/ihl/ihl.nsf/Comment.xsp?action=openDocument&documentId=2C8494C2FCAF8B27C12563CD0043AA67. ICRC. Rule 71 of Customary International Humanitarian Law. Retrieved from: https://ihl-databases.icrc.org/customary-ihl/eng/docs/v1_rul_rule71#refFn_7_40. Human Rights Watch. (April 2015). Yemen: Airstrike on Camp Raises Grave Concerns. Retrieved from: http://www.hrw.org/news/2015/04/01/yemen-airstrike-camp-raises-grave-concerns and Amnesty International. (March 2015). Yemen: At least six civilians burn to death in further airstrikes overnight. Retrieved from: https://www.amnesty.org/en/latest/news/2015/03/yemen-civilians-burn-to-death-in-further-airstrikes/. Amnesty International. (May 2015). Yemen: Mounting evidence of high civilian toll of Saudi-led airstrikes. Retrieved from: https://www.amnesty.org/en/latest/news/2015/05/yemen-mounting-evidence-of-high-civilian-toll-of-saudi-led-airstrikes/. Human Rights Watch. (July 2015). Yemen: Coalition Strikes on Residence Apparent War Crime. Retrieved from: https://www.hrw.org/news/2015/07/27/yemen-coalition-strikes-residence-apparent-war-crime. Ghobari, M. (September 2015). Death toll from air strike on Yemen wedding party rises above 130: medics. Reuters. Retrieved from: http://www.reuters.com/article/us-yemen-security-idUSKCN0RT0XT20150929. Human Rights Watch. (October 2016). Yemen: Saudi-Led Funeral Attack Apparent War Crime. Retrieved from: https://www.hrw.org/news/2016/10/13/yemen-saudi-led-funeral-attack-apparent-war-crime. Human Rights Watch. (October 2016). Yemen: US-Made Bombs Used in Unlawful Airstrikes. Retrieved from: https://www.hrw.org/news/2016/12/08/yemen-us-made-bombs-used-unlawful-airstrikes. Doctors Without Borders. (October 2015). Yemen: MSF Hospital Destroyed by Airstrikes. Retrieved from: http://www.doctorswithoutborders.org/article/yemen-msf-hospital-destroyed-airstrikes. Doctors Without Borders. (December 2015). Yemen: Nine wounded in Saudi-led coalition airstrike on MSF clinic in Taiz. Retrieved from: http://www.msf.org/article/yemen-nine-wounded-saudi-led-coalition-airstrike-msf-clinic-taiz. Doctors Without Borders. (March 2016). Yemen: Crisis update – 3 March 2016. Retrieved from: http://www.msf.org/article/yemen-crisis-update-%E2%80%93-3-march-2016. Human Rights Watch. (April 2015). Yemen: Factor Airstrike Killed 31 civilians. Retrieved from: http://www.hrw.org/news/2015/04/15/yemen-factory-airstrike-killed-31-civilians. Human Rights Watch. (April 2015). Yemen: Warehouse Strike Threatens Aid Delivery. Retrieved from: http://www.hrw.org/news/2015/04/22/yemen-warehouse-strike-threatens-aid-delivery and Oxfam. (April 2015). Oxfam condemns coalition airstrike on one of its storage facilities in Saada Governorate in northern Yemen. Retrieved from: http://www.oxfam.org.uk/media-centre/press-releases/2015/04/yemen. Human Rights Watch. (May 2015). Yemen: Coalition Blocking Desperately Needed Fuel. Retrieved from: http://www.hrw.org/news/2015/05/10/yemen-coalition-blocking-desperately-needed-fuel. Security Council Report. (September 2016). In Hindsight: The Story of the UN Verification and Inspection Mechanism in Yemen. Retrieved from: http://www.securitycouncilreport.org/monthly-forecast/2016-09/the_story_of_the_un_verification_and_inspection_mechanism_in_yemen.php. UN Security Council Resolution 2216. (14 April 2015). S/RES/2216 (2015). Paragraphs 14-15. Reuters. (April 2015). Red Cross says urgent Yemen aid shipments still blocked. Retrieved from: http://www.reuters.com/article/us-yemen-security-icrc-idUSKBN0MV06V20150404. Human Rights Watch. (May 2016). Yemen: Saudis Using US Cluster Munitions. Retrieved from: https://www.hrw.org/news/2016/05/06/yemen-saudis-using-us-cluster-munitions and Human Rights Watch. (February 2016). Yemen: Cluster Munitions Wounding Civilians. Retrieved from: https://www.hrw.org/news/2016/02/14/yemen-cluster-munitions-wounding-civilians. Report of the UN High Commissioner for Human Rights for the Human Rights Council 33rd Session. (August 2016). Situation of human rights in Yemen. A/HRC/33/38. Paragraphs 34-36. Retrieved from: https://documents-dds-ny.un.org/doc/UNDOC/GEN/G16/172/38/PDF/G1617238.pdf?OpenElement. Human Rights Watch. (May 2016). Yemen: Saudis Using US Cluster Munitions. Retrieved from: https://www.hrw.org/news/2016/05/06/yemen-saudis-using-us-cluster-munitions. Amnesty International. (May 2016). Yemen: Children among civilians killed and maimed in cluster bomb ‘minefields’. Retrieved from: https://www.amnesty.org/en/latest/news/2016/05/yemen-children-among-civilians-killed-and-maimed-in-cluster-bomb-minefields/. Amnesty International UK. (May 2016). Saudi Arabia-led coalition has used UK-manufactured cluster bombs in Yemen – new evidence. Retrieved from: https://www.amnesty.org.uk/press-releases/saudi-arabia-led-coalition-has-used-uk-manufactured-cluster-bombs-yemen-new-evidence. BBC. (December 2016). UK-made cluster bombs used in Yemen, Michal Fallon confirms. Retrieved from: http://www.bbc.co.uk/news/uk-politics-38364694. Comment by The Minister for Defence Procurement (Mr Philip Dunne) in House of Commons debate. (May 2016). Yemen: Cluster Munitions. Retrieved from: https://hansard.parliament.uk/commons/2016-05-24/debates/16052424000001/YemenClusterMunitions. Campaign Against Arms Trade. (October 2016). Saudi Arabia Country Information. Retrieved from: https://www.caat.org.uk/resources/countries/saudi-arabia. Campaign Against Arms Trade. (June 2016). Stop Arming Saudi: decision time. Retrieved from: https://blog.caat.org.uk/2016/06/28/stop-arming-saudi-decision-time/. Hartung, W.D. (September 2016). U.S. Arms Transfers to Saudi Arabia and the War in Yemen. Security Assistance Monitor. Retrieved from: http://securityassistance.org/fact_sheet/us-arms-transfers-saudi-arabia-and-war-yemen#_edn11. Hartung tallies arms sales based on list of offers to Saudi Arabia accessible here: http://www.dsca.mil/search/node/Saudi%20Arabia. Government Press Release. (December 2014). Arms Trade Treaty enters into force. Retrieved from: https://www.gov.uk/government/news/arms-trade-treaty-enters-into-force. Campaign Against Arms Trade. (March 2016). UK Arms Export Licences. Retrieved from: https://www.caat.org.uk/resources/export-licences/licence?region=Saudi+Arabia&date_to=2016-03-31&date_from=2015-04&n=60&rating=Military. House of Commons Foreign Affairs Committee. Fourth Report of Session 2016-17. (September 2016). The use of UK-manufactured arms in Yemen. (HC688). Paragraph 93. Retrieved from: http://www.publications.parliament.uk/pa/cm201617/cmselect/cmfaff/688/688.pdf. Boris Johnson. (September 2016). Yemen Update: Written Statement – HCWS128. Retrieved from: https://www.parliament.uk/business/publications/written-questions-answers-statements/written-statement/Commons/2016-09-05/HCWS128/. Nebehay, S. (September 2016). Activists cry foul as U.N. decided against Yemen rights probe. Reuters. Retrieved from: http://www.reuters.com/article/us-yemen-security-un-idUSKCN11Z276. ITV News Report. (October 2016). UK will not immediately halt weapons sales to Saudi Arabia despite Yemen funeral bombing. Retrieved from: http://www.itv.com/news/2016-10-10/uk-will-not-immediately-halt-weapons-sales-to-saudi-arabia-despite-yemen-funeral-bombing/. The White House Office of the Press Secretary. (April 2016). Remarks by President Obama in Q&A with the Press – Riyadh, Saudi Arabia. Retrieved from: https://www.whitehouse.gov/the-press-office/2016/04/21/remarks-president-obama-qa-press-riyadh-saudi-arabia. Stephen O’Brien (Under-Secretary-General for Humanitarian Affairs and Emergency Relief Coordinator). (October 2016). Statement to the Security Council on Yemen. Retrieved from: http://reliefweb.int/sites/reliefweb.int/files/resources/ERC_USG%20Stephen%20O%27Brien%20Security%20Council%20Statement%20on%20Yemen%2031Oct16%20CAD.pdf. Ghobari, M. (August 2016). U.N. says 10,000 killed in Yemen war, far more than other estimates. Retrieved from: http://www.reuters.com/article/us-yemen-security-toll-idUSKCN11516W. Report of the UN High Commissioner for Human Rights. See fn 34. Para 13. Al Jazeera. (June 2015). World Heritage sites attacked in Yemen’s Sanaa. Retrieved from: http://www.aljazeera.com/news/2015/06/world-heritage-sites-attacked-yemen-sanaa-150612162938541.html. UN News Centre. (March 2015). UNESCO calls for the protection of cultural heritage in Yemen. Retrieved from: http://www.un.org/apps/news/story.asp?NewsID=50441. Human Rights Watch. (July 2016). Bombing Business – Saudi Coalition Airstrikes on Yemen’s Civilian Economic Structures. Retrieved from: https://www.hrw.org/report/2016/07/10/bombing-businesses/saudi-coalition-airstrikes-yemens-civilian-economic-structures. Amnesty International. (December 2015). Yemen: ‘Our Kids are Bombed’: Schools under attack in Yemen. Retrieved from: https://www.amnesty.org/en/documents/mde31/3026/2015/en/. Kalfood, M.A. (February 2016). “Bandage me quickly!” The death of a journalist in Yemen. Retrieved from: https://theintercept.com/2016/02/02/bandage-me-quickly-the-death-of-a-journalist-in-yemen/. Doctors Without Borders. (January 2016). Yemen: Saada attacks wound dozens and kill at least 6, including ambulance driver. Retrieved from: http://www.msf.org/article/yemen-saada-attacks-wound-dozens-and-kill-least-6-including-ambulance-driver. Sanchez, R. (August 2016). Saudi coalition kills 10 children in their classroom in Yemen air strike. The Telegraph. Retrieved from: http://www.telegraph.co.uk/news/2016/08/13/10-children-killed-in-their-classroom-by-saudi-coalition-airstri/. Doctors Without Borders. (August 2016). Yemen: Airstrike on MSF-Supported Hospital Kills at Least 11, Wounds at Least 19. Retrieved from: http://www.doctorswithoutborders.org/article/yemen-airstrike-msf-supported-hospital-kills-least-11-wounds-least-19. [Office1]I’ve worded it this way as I noted that organisations such as HRW raised the issue of whether the armed conflict was international only to dismiss it i.e. not that they believed at any point that it was internationalised, rather that it needed to be stated that it wasn’t. If you have other suggestions for wording please let me know.